In light of two soldiers being killed on home soil in recent weeks, there are renewed calls by federal politicians to make Remembrance Day a day all Canadians get off to observe and remember. MPs debated Bill C-597 in the House of Commons on Monday night. The private member's bill seeks to make Remembrance Day a nationwide statutory holiday, and will be up for a vote on Wednesday evening. It is currently a holiday and paid day off in all provinces and territories except Ontario, Quebec, Nova Scotia and Manitoba. The bill -- officially titled “An Act to Amend the Holidays Act” -- was introduced by Ontario NDP MP Dan Harris. "I certainly think, in Ottawa, the tragic events of a couple weeks ago … brought the issue home for many MPs," Harris told CTV News Channel. While Harris first tabled the bill in May, it is just a coincidence that it will be debated after the recent soldiers’ shootings and just before Remembrance Day. Legion Dominion President Tom Eagles told CTV News Channel there is no need for a change because "the way we have it set up now is working very well." Each province is slightly different and students in four provinces attend services in school. "(Our members) are more concerned if the children were out of school: What would they be doing? Would they be outside playing? But in the schools, at least they are having the assemblies," Eagles said. "The main thing is they are remembering and I think that is the most important part." He added that the Legion distributes 18 million poppies every year, so obviously something is working. In the bill's introduction, Harris writes that the issue of students out of school is the strongest argument he has heard against the bill. "This is a very compelling argument," said Harris. "However, I am drawn back to the provinces where it is already a holiday, such as Newfoundland and Labrador, where kids learn about it during the week leading up to the 11th, and on the 11th can put what they have learned into practice." 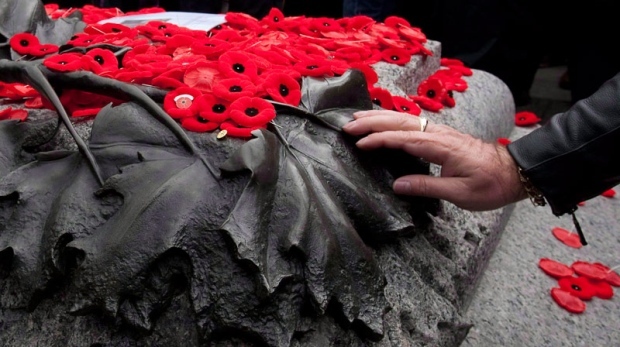 Harris added that it will be easier to get veterans to school services if they took place on the 10th, because that would no longer conflict with veterans attending services at cenotaphs. Private member bills rarely pass, but if this does, it will elevate Remembrance Day to the same level as Victoria Day or Canada Day. However, it won't be up to the federal government to dictate to the provinces the rules of the holiday, such as if stores should close, or how to commemorate. "We are all looking for the best way to commemorate and remember and this (bill) is starting a great conversation," Harris said.